I loved the YoYoJam Kickside. It had a classic shape that really complemented a casual players throw style. One of my favorite things about the Kickside was how durable it was. That yo-yo could take a beating. I always thought that the high impact celcon body made the Kickside great for 5a, especially for a 5a noob like myself. When YoYoJam picked up the 5a license from Duncan, I was really hoping that we would see a classic body shape / celcon body yo-yo see production. The Pinnacle is just that. This week I played the Pinnacle in both 5a and 1a modes. My cat has never been more terrified. About a month ago, I reviewed the YoYoJam Destiny. The Destiny came with a very cool bearing-ized counterweight. The Pinnacle comes with what most yoyoers could identify as a standard Duncan counterweight. The Pinnacle comes boxed with a standard C-Size bearing. Unlike many of the new YoYoJam throws, the Pinnacle I received at Nationals did not include a slim line bearing. I looked at a few stores online and it seems to me that the YoYoJam Chrome C Sized bearing is the only bearing the Pinnacle comes with. This isn’t a bad thing, it is just something to remember if you order a Pinnacle and really wanted a slim bearing. The Pinnacle I was given has a foil National Yo-Yo cap on the blue side and a standard Pinnacle cap on the red side. The cap design is a bit crowded, but looks pretty cool when spinning. The size and weight of the Pinnacle is pretty darn close to both the Projam and the Kickside. As you can see in the comparative photos above, the diameter is almost right on the dot. Width wise, the Pinnacle falls right in the middle. The Pinnacle features a celcon body composition like the Kickside and the new YoYoJam Solid Spin axle system. This system acts as the bearing seat and axle system, completely separating the bearing from the yo-yo body. In all the yoyo jam yoyos I have tested, this system has proven time and time again to be effective and stable. YoYoJam has also used a full silicone sticker groove response setup. 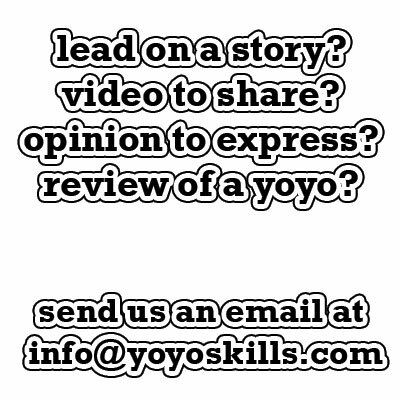 I am really glad YoYoJam has moved away from the starburst response. In your hand, the Pinnacle is really comfortable. The celcon is not only durable, it is easy to grip and catch. The Pinnacle has soft corners and a modified classic shape. There is a sight mold mark ring near the outer rim but it is not really noticeable unless you are looking for it. I think I dropped this yo-yo in 5a mode a dozen times over my slate tile living room. This thing is durable. The Pinnacle can certainly take a beating and keep on going with very little effect to spin or stability. Mine has been dropped, chucked, and rammed into the wall without leaving a mark or causing any ill effects. I really think the Pinnacles biggest selling point is the incredible amount of damage it can take without really showing any damage. I don’t think it would handle a “Thor’s Hamma” but under normal noobish 5a play, this yo-yo holds its own. Play wise, the Pinnacle is really pretty good. You have to factor in that this is a budget yo-yo. It reminds me of the Legacy. Budget price – premium performance. The Pinnacle plays very fast and works in and out of tangles very well. I found myself bouncing the Pinnacle in string configurations over and over again. It is just so fast and so bouncy. I also found the Pinnacle to be decent on directional changes. If there is one thing that I can be critical on, it is spin time. The Pinnacle has a good spin time but it does not compare with it’s metal counterparts. 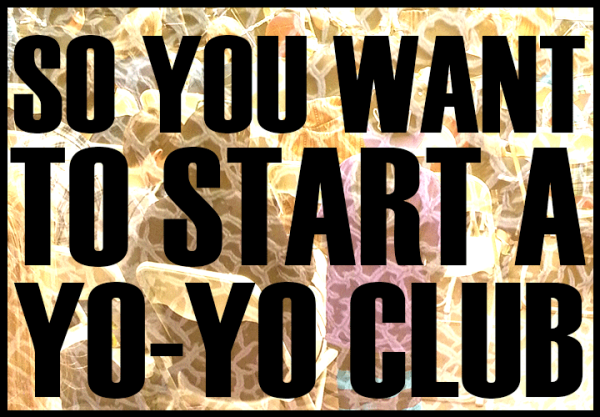 You have a yo-yo designed for 5a, made out of high impact celcon, and under $20 bucks. 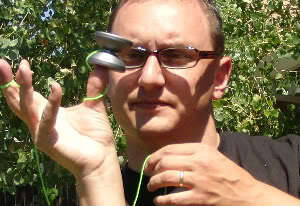 Here is my take: this is my 5a training yo-yo. 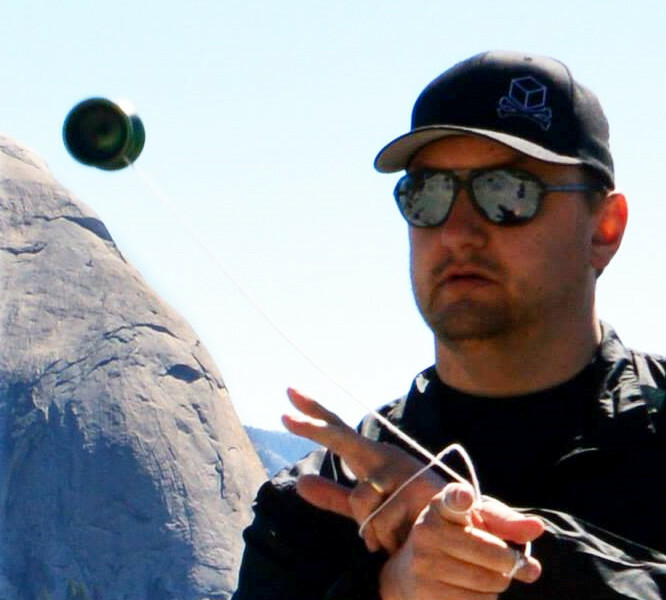 The Pinnacle is a great yo-yo for practice or casual play. I would not be surprised to see the Pinnacle get some competitive use as well. It is decent, and a great price. I have myself one, and I do have to say, it’s an absolute beast, I wouldn’t trade it for the world.